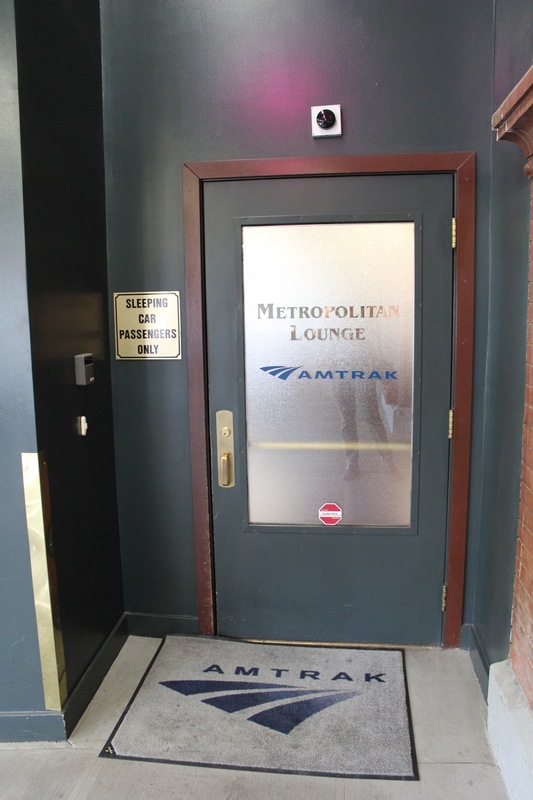 While certainly more private than the station itself, the Amtrak Metropolitan Lounge in Portland, Oregon is hardly a compelling highlight. You’ll find the lounge toward the left side of the station, as you enter. Coffee and water are available. That’s about it. 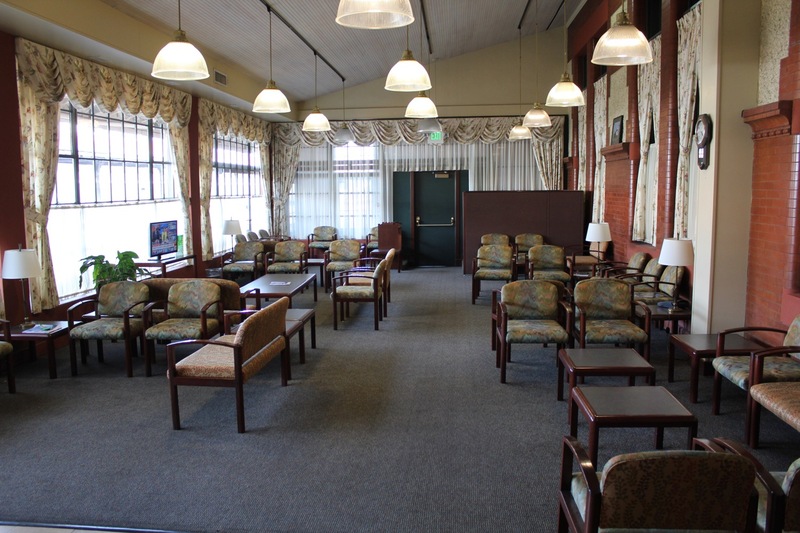 The lounge does offer wi-fi and has a TV…but think of it more as a private waiting room. You’ll board the train platform directly through the lounge. One potential advantage to this lounge during the summer months is that the lounge is air conditioned while the station is not. On a hot day when the station is crowded, I can see how this lounge would be a welcome alternative to the general seating area. 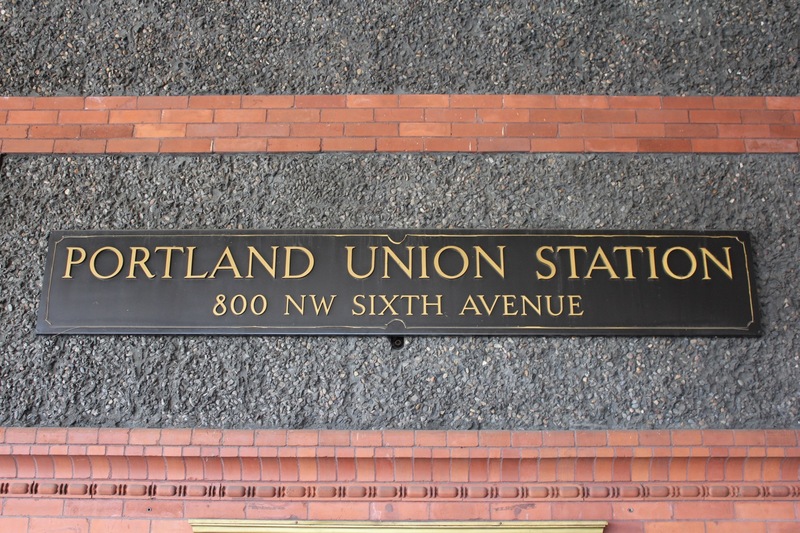 Portland Union Station is beautiful. I like the stonework and neon lights of the station itself very much. 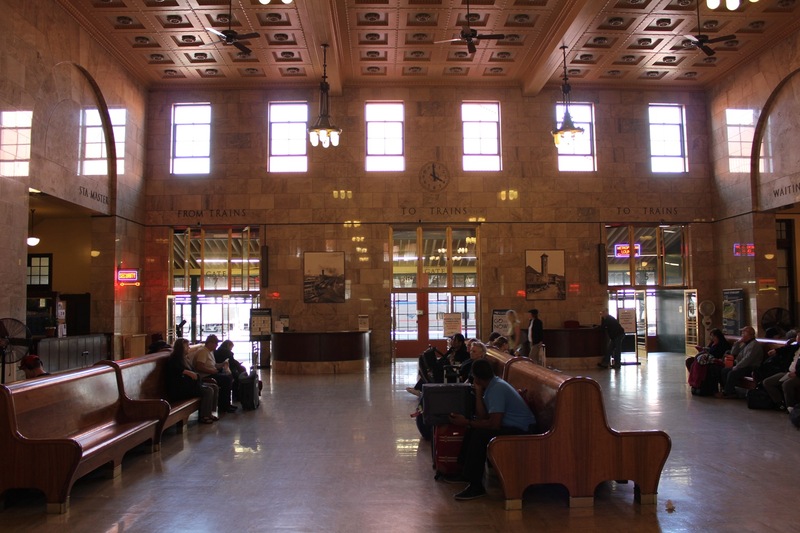 While not as beautiful as Los Angeles Union Station, my wife and I enjoyed a walk around the station before returning to the lounge and soon thereafter boarding our Empire Builder train to Montana. Compared to the Los Angeles Metropolitan Lounge, this lounge isn’t much. Even so, if you need a drink of water or cup of coffee before your train departs, at least you have that.